This pressure cooker chicken has become one of my favorite ways to cook and enjoy chicken! 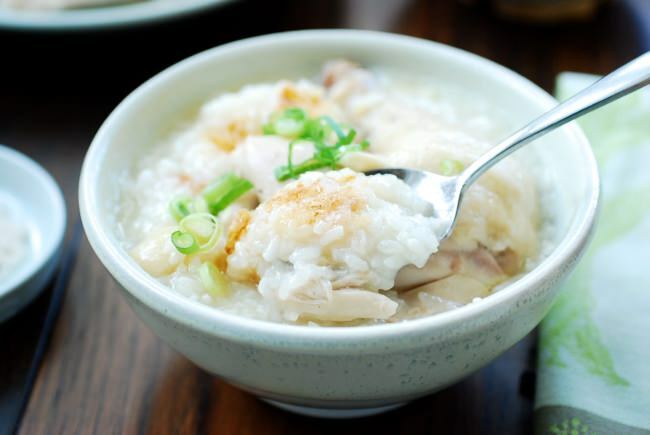 It takes no effort yet yields a tender, moist chicken as well as sweet, creamy rice porridge. 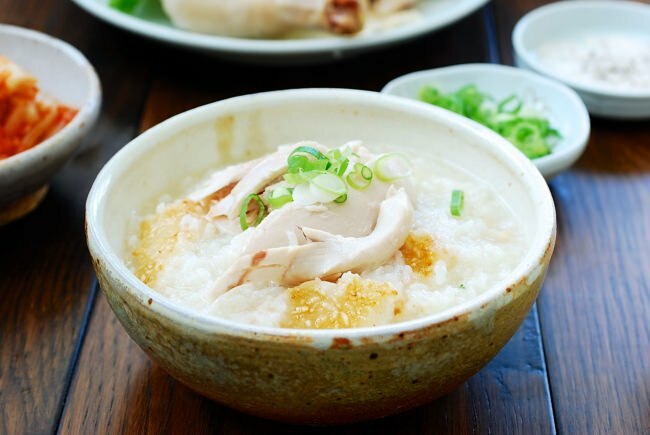 If you like chicken and Korean porridge (juk, 죽), you’ll love this recipe! 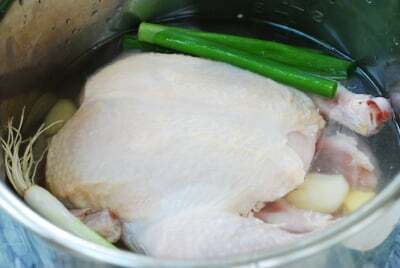 Baeksuk (백숙) is a Korean boiled chicken soup that’s similar to samgyetang (삼계탕), ginseng chicken soup), and often cooked in a pressure cooker in Korean homes. It’s traditionally made with a whole chicken, garlic and scallion without any seasonings and served with a salt and pepper mix for dipping and seasoning at the table. When rice is added to baeksuk and cooked until the rice at the bottom is scorched, but the rest of the rice is velvety soft porridge, it’s called nurungji baeksuk (누룽지 백숙). Nurungji is scorched or slightly burnt rice that’s enjoyed by Koreans for its nuttiness. If you omit the sweet rice from this recipe, it’s simply baeksuk, which gives you a soup instead. To prepare the whole chicken, I cut out as much fat as possible with kitchen shears. My sister-in-law actually skins the whole chicken, so, if you’re concerned about the fat, you can do the same thing. For the right texture, this dish is typically made with sweet rice (aka glutinous rice) or chapssal (찹쌀) in Korean. 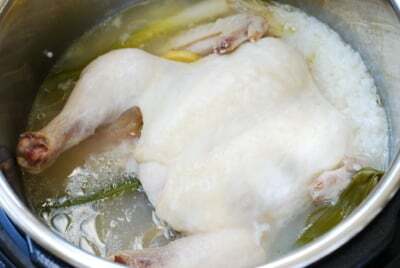 If you want a thicker nurungji, you can cook the rice for a few more minutes after removing the chicken. Traditionally, baeksuk was much simpler and more affordable dish than samgyetang because a chicken was simply boiled in water with garlic and scallions. 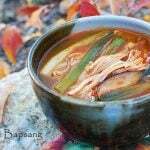 These days, traditional samgyetang ingredients such as ginseng, jujube, chestnuts, etc. 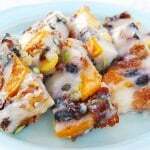 are also commonly added to baeksuk. I sometimes use these ingredients too in my baeksuk, but kept it simple here. You can serve the chicken and rice porridge separately, or with chicken pieces/meat on top of the porridge. Either way, serve it with salt and pepper on the side, so the diners can enjoy the chicken dipped in the salt mix and season the porridge to their taste. 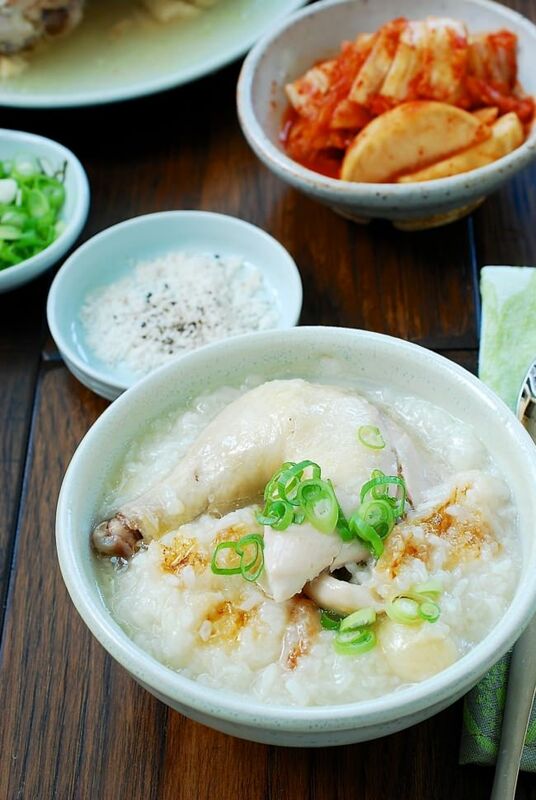 All you need is good old kimchi with this delicious chicken and porridge dish! 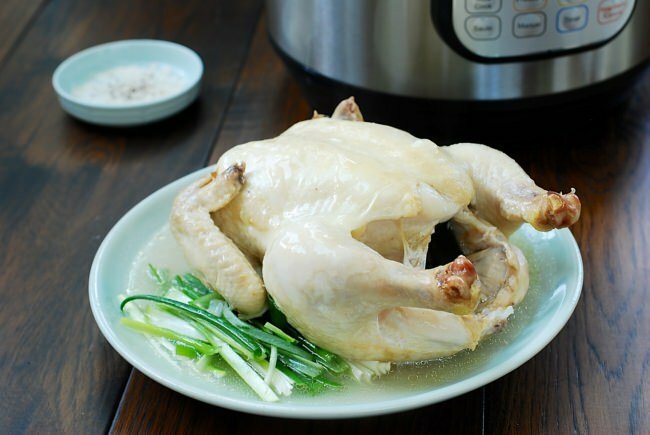 Pressure cooker nurungji baeksuk -- tender, moist boiled chicken with creamy rice porridge! Trim off the excess fat from the chicken. You can also skin the chicken for less fat. 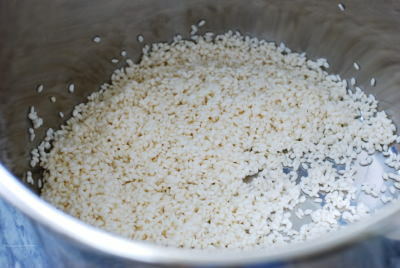 Rinse the sweet rice, drain, and add to the pressure cooker/Instant Pot. Place the chicken on top of the rice. Add the scallion, garlic and ginger along with 4 cups of water (or 2 cups of chicken stock and 2 cups water). Close the lid tightly. Press the “poultry” function, and using the “-” button, decrease the time to 25 minutes. When finished, the Instant Pot will automatically turn to the “Keep Warm” mode. Leave the pressure cooker alone for about 10 minutes before opening the lid. Remove the chicken. You can turn the instant pot back on for an additional 5 minutes if you want thicker nurungji. Let it sit for about 10 minutes before scraping off the nurungji. Remove ginger and scallion. You can remove the garlic cloves as well, if desired. be mouthwatering about this cuisine …..
Are you using a 6qt or 8 qt instant pot? Hi Hyosun, I just got my pressure cooker. Could you introduce more pressure cooker recipes please? Thanks! Hi Connie — Yes I will. I love it, and I know it will be a good investment for you too. I use it all the time. See my ox tail recipe as well. Simply the best! So easy to make and sooo~ good. I ate with chonggak kimchi today and words don’t do justice. If you have more recipes with instant pot, please let me know. Isn’t it? I love this recipe and has become my go-to dish when I want something easy, quick yet healthy and filling. 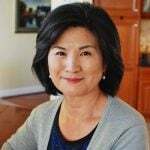 Have you checked my kkorijjim instant pot recipe? You can also use it for other meat such as beef short ribs, pork ribs, etc. I really like the idea of using the instant pot to make this easy dish. I love my instant pot. I noticed you had a nice mu dwenjang soup. My mother in law and I just started a blog on her cooking. It’s in Korean/English. Here’s her recipe for the same soup using napa cabbage. I used a 1.5 lb Cornish hen and halved the recipe. The instant pot burned the rice and the chicken was dry. So maybe don’t modify recipes if you don’t know what you’re doing. Not everything scales. I don’t have an Instant Pot, just a regular pressure cooker. How much time does it need to cook? I didn’t have any sweet rice, so I used Jasmine rice, I don’t like the taste of ginger so I didn’t use any. I love garlic which I did use and I also seasoned the chicken and the water with powdered chicken bullion. Hope it tastes good. I love boiled chicken meat, the chicken was still a little bit frozen. Can hardly wait to eat this . Yes. Mine has a function for chicken soup. Try and let me know how it turned out. Can you make this with regular korean rice if you don’t have sweet rice? Yes. The texture of the rice will be a little different, but it will be okay. Try it and let me know how it turns out for you. 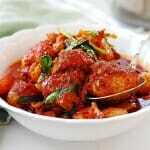 I have been giving out your recipe to friends and family. We all love it. It ‘s a go to recipe on a busy work week. I personally add more sweet rice and chicken stock, just because it is soooo~ good. Great to hear you all love it! I love this as an easy weeknight meal too. More is better! Thank you so much for the great review! Hello! Thank you for posting this recipe. I made it last week and it was delicious, but I had to interrupt the cooking because the instant pot stated the “burn” warning. I took out the chicken and noticed that the rice was cooked to my liking. I removed the rice and cooked the chicken again. 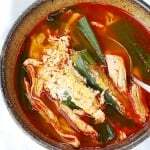 What do you suggest as to cooking instructions if I desire a lot more soup and the rice cooked as well without the “burnt” nuttiness flavor? Should I just cook the chicken first and then add the rice with a little broth at the end for several minutes? Thanks for any feedback. hmmm what size chicken did you use? 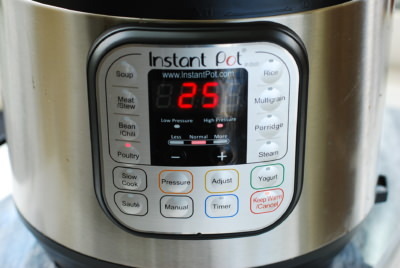 What size of Instant Pot do you have? I make this quite often and haven’t had the burn warning. You can definitely add more water if you want more liquid at the end. You shouldn’t have to cook the chicken separately. Hi, I do love Korean dish very much. Thanks for the good recipe that you share.